Avalanche Album Club – hiatus definitely over ! Hot on the heels of the Public Service Broadcasting album comes the next album club choice. 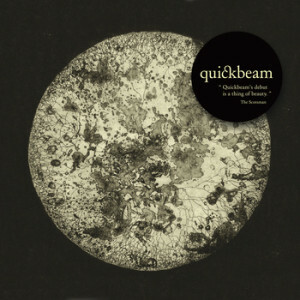 No great surprise to many of you I’m sure given the amazing response we’ve had to playing the album in the shop that we’ve gone with the Quickbeam album out on Monday. Suffice to say we’ve ditched that “miserable boy indie” tag as we did the “Scottish Arcade Fire” tag and now Avalanche is all about the “new Scottish Sigur Ros” especially given our recent success with the Olympic Swimmers. Of course both bands are far more than that simple comparison and deserve to be heard in their own right. With the album available in “all good record shops” I’ll be interested to see how it does.